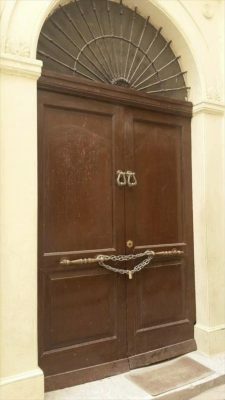 An armed group, believed to be members Tripoli’s Rada (“Deterrence”) force, has forcibly ejected staff from the Dar Al-Fagih Hassan arts and cultural centre in the capital’s Old City and padlocked its doors. 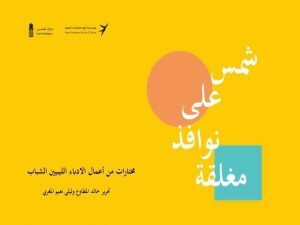 It is the latest twist in the fast developing row about collection of stories by 25 young Libyan writers entitled Sun on Closed Windows. Edited by Leila Al-Maghrabi and Khaled Mattawa, the book was published in May but it is only since a book signing in Zawia on 26 August that the row has blown up. One of the stories, Kashan, by Ahmad Al-Bukhari, is sexually explicit and is being accused of being obscene and contrary to Libyan morality. There has been a massive campaign on social media against the book, with thousands of threats, including death threats, being made against it, Bukhari and the two editors. Al-Maghrabi is said to have gone into hiding. Following the Zawia book signing, the man who organised it was reported to have been arrested. There was also a signing at the Dar Al Fagih Hassan – which is why it has been targeted by Rada, which is Salafist. 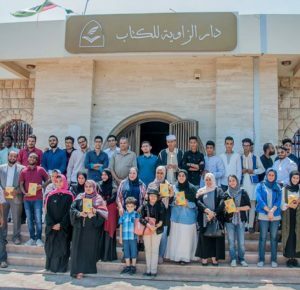 “A military force closed the Dar Al-Fagih Hassan after a defamation campaign against one of the authors, Ahmad Al-Bukhari, gained traction on social media”, said Ibrahim Ahmidan, head of the Libyan Association for Literature and Arts which holds monthly cultural events in the building. The Presidency Council’s culture and information authority which has condemned the book and reportedly ordered copies to be confiscated, is meanwhile claiming permission was never given for its publication. However, the publishers said they were given permission in 2013 but did not have the funds to publish until this year. While the anger felt by some against the book is clearly very real, there is also evidence of a deliberate hate campaign being whipped up against it and all connected to it. At least one fake Facebook page has been created purporting to promote the book but in effect goading others into railing against it, the author and editors. The closure of the Dar Al-Fagih Hassan, which in fact belongs to the authorities in Tripoli, has angered many even those unhappy about Sun on Closed Windows. Serving as the French consulate throughout most of the 19th century and one of just a handful of fully restored buildings in the Old City, it has in recent years became an important and much appreciated cultural centre, used for exhibitions, presentations and other such events. Responding to its closure, Mattawa described it “an assault on culture and intellectuals”, and called on civil society organisations as well as writers, artists and anyone interested in culture and art to defend what he called one of Tripoli’s cultural bastions, and to defend freedom.